Listen to an audio recording of the full oration here. As one who has traversed Indonesia’s now more than a decade-long transformative democratic journey – such that today it constitutes the world’s third-largest democracy – the reply to such question can only be resoundingly in the affirmative: yes! Throughout all corners of the world, we continue to bear witness to people’s yearnings for democracy; for the right to choose and to hold to democratic account their elected representatives; for the protection and promotion of their fundamental human rights – respect for rule of law; for the betterment of their life and their future. And, more recently, though still obviously fragile and replete with challenges, in Myanmar – the democratic reform that has seen its past advocates of democracy now taking the helm of government. And, most tragically, inflicting violence, carnage and sufferings on the most vulnerable in our societies – children, women and the elderlies. Of peoples in their thousands seeking refuge across borders and continents. However, even in situations of evident democratic transformation, we are reminded too that democracy is a process, not an event – never-ending in its nature and prone to ebbs and flows – of progress and of regress. Hence, despite sometime trumpeted gains, here in East Asia, and beyond, a case can be made of recent signs of shifting dynamics – of democracies adrift – of a changing democratic architecture after decades of promise. For democratic gains have been tempered by challenges old and new. Of the latter, increasingly, we are becoming cognizant of the possible implications to democracy of the advent of new technologies – some positively transformative in nature, while others illustrative of the potential for their negative exploitations. As well, through the application of technologies, supporting the holding of elections in countries whose geographic and physical features make for electorates in remote and previously inaccessible regions. Yet, the very same technologies, or strictly speaking, their exploitations, have given rise to new types of concerns and challenges to democracy. Of the rise and sharpening of particularly divisive politics – of identity politics. Further, while technologies have opened greater opportunities for the voices of the people to be heard, in an age of big data and social media, they have also opened the doors to interferences in elections – the short term manipulation of the individual voters’ fears and prejudices – to secure electoral advantages and victories, and similar concerted manipulation of online conversations to influence public opinion. Of the surge of populist authoritarianism – to see in democracy only as electoral means to acquire power, only to subsequently systematically dismantle and weaken the values inherent to democracy. Of countries once on gradual path to democratic reform, now appearing to have taken pause or, indeed, to have stepped-back. For voices of dissent, or simply alternative voices, to be silenced by the threat or prospect of legal prosecution. In such complex environment, the management of the nexus between the internal and external milieu – so called domestic and international affairs – has become more critical than ever before. Among others, the promotion and protection of democratic principles in a world of sovereign nation states. Further, the potential impact of more complex and open democratic settings on the conduct of diplomacy. I am of the view that, ultimately, democratic reform processes are inherently internal to the countries concerned. However, this is not to say that there is total absence of the external dimension. The internal and external dimensions are interrelated and synergies can be attained. Certainly, to be sustained, democracy cannot possibly be imposed from without. 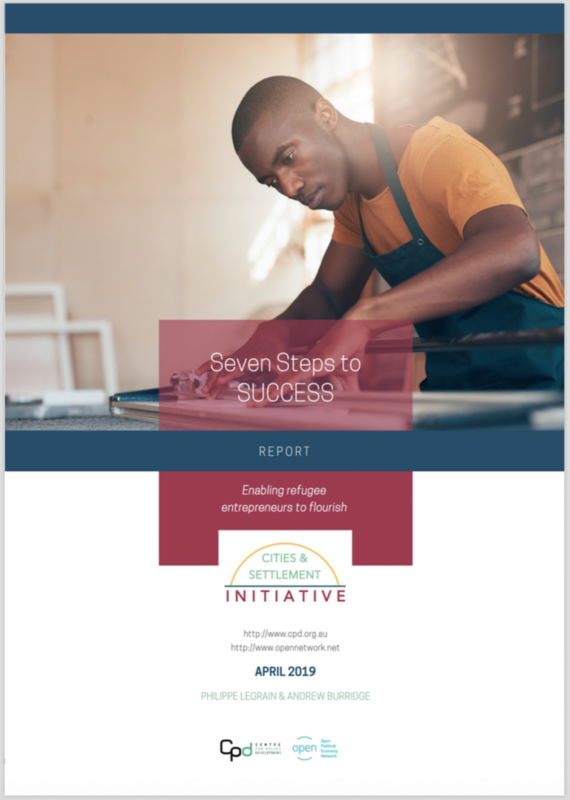 There is not a magic wand – a one-size-fits-all – that can apply to all countries with their differing circumstances, past experiences and visions for their common future. Ours is a world replete with examples of well-meaning efforts to externally and sometimes even forcefully introduce democracy to countries that have ultimately foundered, as they lack internal and national sense of ownership so critical if such processes are to be sustained. However, this is not to say such processes take place in a total vacuum – disconnected from the external milieu. Indeed, I have been of the view that the contemporary world is one in which the distinction between internal and external domains is increasing becoming tenuous, such that for all practical purposes they have become one: mutually affecting one another. The term “intermestic” perhaps captures such linkage between the international and domestic domains. Issues abound, traditionally viewed as internal, that have foreign policy or external dimensions – food security, energy security, the environment, the management of the economy, migration and the flow refugees, health, terrorism, to cite a few – all defying national solutions alone. Thus, any attempt to promote democratically obtained mandate at the national level on such issues ultimately requires and demands cooperative partnership across nations. Personally, such deep links between the internal and external environments have been driving motivation to promote ASEAN’s democratic architecture – to positively alter the dynamics in the region. As Indonesia embarked on its process of democratic reform post-1998, it deliberately and purposefully injected within ASEAN a discourse on democracy, good governance and human rights, hitherto absent. The resultant ASEAN Political Security Community pillars, in addition to the Economic and Socio-Cultural pillar, was groundbreaking for a region more used to view such issues as being the exclusive preserve of individual countries. Though clearly not without shortcomings, the establishment of the ASEAN Intergovernmental Commission on Human Rights (AICHR) and the adoption of the ASEAN Human Rights Declaration (AHRD), for the first time formally lay out certain democratic, human rights and good governance benchmarks for ASEAN to aspire to, and to judge current and future conduct on. More than the establishment of formal ASEAN institutions and capacities, I have sought to deliberately introduce state practice within ASEAN to change its dynamics on matters relating to human rights and democracy. At no countries’ behest or expectation, instead at its own initiative, Indonesia begun to deliberately share developments within the country – the various problems and challenges it was facing internally – before ASEAN meetings. The objective was clear: to alter the dynamics within ASEAN, such that it becomes more attuned to principles of democracy, human rights and good governance. Further, it reflected Indonesia’s confidence and conviction in a democratic response to the various issues it was facing. In most instances, the reaction by the rest of the ASEAN Member States was awkward and deafening silence, as Indonesia’s efforts were not in line with traditional ASEAN practices. However, slowly the dynamics began to change. Other ASEAN countries, notably, at the time, Thailand, the Philippines and Myanmar, also began to share of internal developments in their respective countries. Such sharing of information began to be viewed not as being “interference” in internal affairs of ASEAN Member States, rather as manifestation of how the ASEAN “family” of nations can demonstrate genuine concern and interest on internal matters relating to the promotion and protection of the principles of democracy, human rights and good governance that affect the region as a whole. In introducing these as ASEAN’s common concern, I was motivated to ensure that the then nascent reform process in Indonesia does not take place in a regional vacuum. Instead, for the Southeast Asia region to move in similar direction, albeit admittedly at different pace. In essence, to inject democratic dynamics in Southeast Asia. In a manner, it was such gradual development of a more nuanced application of the principle of non-interference in domestic affairs, which allowed ASEAN, until recently, to navigate the complex process of Myanmar’s recent democratic reform – to synergize all the various often conflicting sets of demands within and outside Myanmar. I believe it possible to urgently address the current challenge on the Rohingya issue with a similar approach. Clearly, yet another litmus test for ASEAN. To demonstrate relevance. To be part of the solution. Recent developments, however, remind of the fragility of democratization process. Signs abound in Southeast Asia of shifting democratic momentum and dynamics. Of democracy adrift, or even in retreat. While such ebb and flow are not new and will no doubt continue, today they occur within the context of the much-heralded ASEAN Community. As a result, this time, there is sharp and glaring contrast between the actual realities and conditions on the one hand, and the avowed and publicly declared commitments, on the other. As the initiator of these collective commitments on democracy and human rights in the region, Indonesia has special responsibilities to ensure that there is no backtracking by ASEAN; Indonesia’s leadership has been, and will continue to be key. Absent relentless and continuous efforts – of mutual encouragement and support for democratic reform – the dynamics will shift. Positive momentum lost. There is another manifestation of the nexus between democracy and foreign policy that requires careful and thoughtful management. I am referring here to the democratization of foreign policy; a phenomenon to be much welcomed. For diplomacy and foreign policy cannot be the exclusive preserve of a few. As a process, it refers to the critical need to promote a sense of public participation and ownership for the effective discharge of foreign policies. In a democracy, the conduct of diplomacy and foreign policy, like other fields of government endeavour, cannot be divorced from the public at large. As outcome, it speaks to the issue of relevance of foreign policies; to issues that matters and are of concern to the general public at large. Certainly, the foreign policy-making environment today is arguably far more complex than hitherto been the case. Of rapid advances in information technology – including the role of social media and other non-traditional means of information dissemination – which have placed diplomacy and foreign policy in a transformed setting – on the one hand providing greater opportunity for policy dissemination, while on the other, placing it under an almost continuous public glare and attention. For diplomacy, such milieu occasionally implies that the management of issues of mutual concern between countries has injected to them internal domestic dynamics to further add to already complex situation. Besides the issue of territorial disputes, perhaps one of the most vivid recent illustrations of such complex reality has been over the management of movements of peoples across state boundaries, as refugees seeking protection from conflicts and political upheavals. Too readily, such issues have become enveloped by domestic political dynamics in the countries of destination, transit and origin – making resolution of the issue even more elusive. The recent surge of refugees to Europe, escaping the conflict in Syria and other parts of the Middle East, is one such illustration; rapidly becoming enveloped in European domestic politics. Of course, I have been particularly aware of similar dynamics impacting on Indonesia’s and Australia’s common efforts on the issue of irregular movements of peoples – of refugees. On such and other similar issues, I deem it important that policy makers demonstrate constructive leadership and partnership – to seek mutually acceptable solutions – not one that aim to score political points off the other with one eye on domestic political consideration – rather one that demonstrates the best of our humanity and respect for principles of democracy. In particular, a type of leadership that has the courage and resilience to inform the public – to promote a more informed public – of the complexities of the issues at hand, the hard choices, requiring common undertaking and the search for common solution. The pursuit of narrow populist agenda – however appealing – is to be discouraged. As any neighbours, Australia and Indonesia do not always have a common view on issues affecting them. Precisely, as neighbours, however, we do have common issues to manage and address. The tasks for leaders past and future, have been to build on such realities and develop common interest between the two countries. I am of the firm view that ultimately, our democracies have made our relations stronger, more resilient and robust. Where consensus has proven elusive, we can agree to disagree. We can disagree, without being disagreeable. 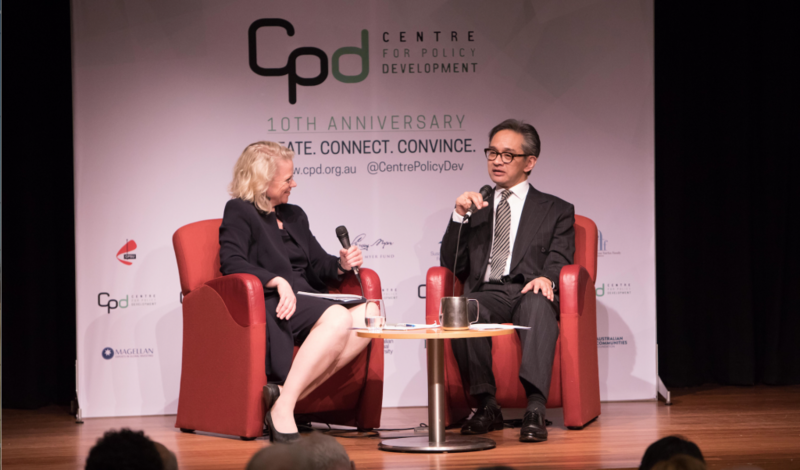 In a world where dialogue and diplomacy are seemingly in retreat, as democracies Australia and Indonesia can provide a different narrative. Of the efficacy of diplomacy as means to address issues among nations. Democracy needs constant investment of efforts; of nurturing. In many societies, institutional and governance capacities need to be painstakingly build. Most significantly, leaders and institutions must earn the public’s trust. There is no room for complacency. Countenancing attacks against universal democratic values. This is equally the case within nations and among nations. Absent such efforts, democracy can find itself cast adrift; at best irrelevant and distant from people’s concerns and interests, and worse still, retreating. Ultimately, democracy can only thrive if it delivers. Served as Minister for Foreign Affairs of Indonesia (2009-2014), Permanent Representative of Indonesia to the UN (2007-2009) and Ambassador to the Court of St. James’s (2005-2007), as well as in various other capacities, including as Director General for ASEAN Cooperation. Currently serving, inter alia, as UN Secretary General’s High Level Advisory Board on Mediation and UN President of the General Assembly’s Team of External Advisors. Indonesia and Australia can nurture democracy together (Marty Natalegawa, extract from oration), AFR, 3 November. 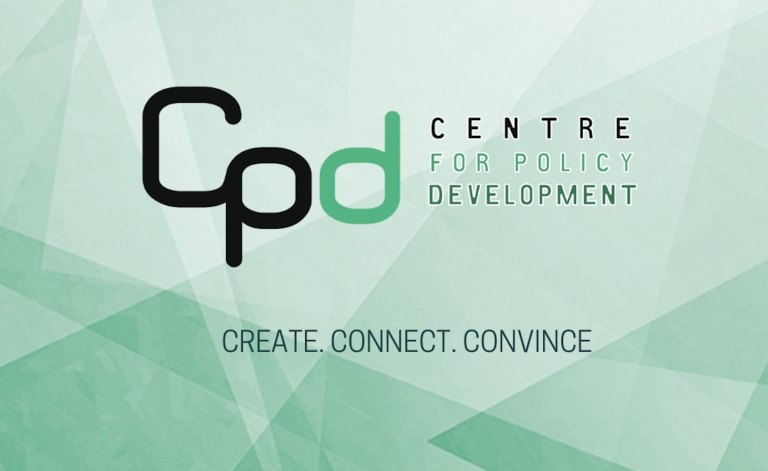 CPD’s inaugural annual oration has been named in honour of John Menadue AO, CPD’s founding Chairperson, in recognition of John’s contribution to public policy in Australia and to CPD. 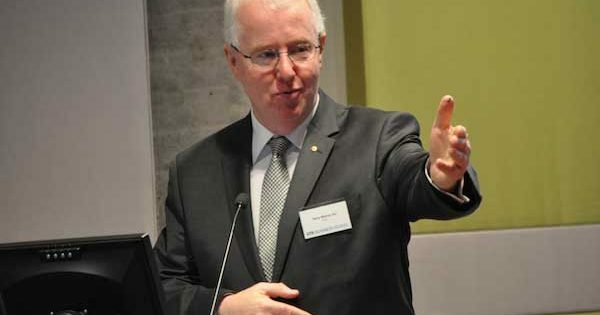 John served as Secretary of the Department of Prime Minister and Cabinet under Prime Ministers Gough Whitlam and Malcolm Fraser, was Australia’s Ambassador to Japan, and held senior roles in the business community. He remains a CPD fellow.